Inspirational lyricist with a Hip-hop style | A.M.P.S. Norris J is a product of inner city Fort Worth, Texas. Born on November 9, he is the second oldest of four children. While growing up in a divorced family, he battled and conquered various challenges of an urban environment faced by teens such as low or no self-esteem, the desire to be accepted, as well as, desperation to fit in, s treet life, and peer pressure. Norris J was led to the Lord at an early age through the Church of the Living God PGT. Even though he was raised in a single parent home, he was avid in his Christian surroundings and cultured hip-hop as a dialogue to communicate his views. 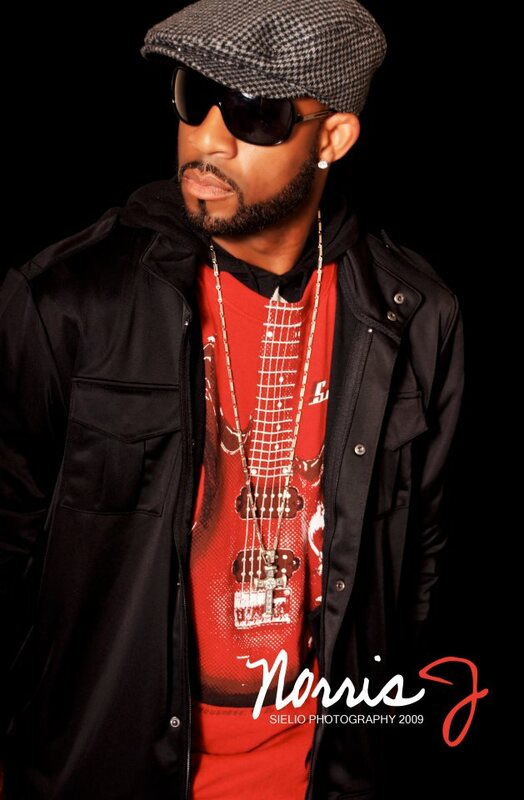 Norris started writing in 1999 while being part of a duo entitled “XFactor”. Norris went solo in 2008 and his passion to write inherently increased. Norris J. currently resides in the Dallas/Fort Worth metroplex where he is the devoted husband and father to his wife and three children. He is a deacon and faithful member of New Breed Christian Center in Fort Worth, TX under Pastors Darrell and La’Tonja Blair. Amps- Norris can you tell us how old you were when you discovered your gift? Norris J.-I was around twenty seven years old I was a late bloomer as far as rap hip hop. A friend of mine pretty much pulled it out of me while I was hanging around the studio. Amps- Have you always liked to rap? Norris J- It was never a dream of mine to be a hip hop artist, I always wanted to be a basketball player until I discovered that I had a gift to be an artist and it was completely designed by God for me to be doing what I am doing today. It was anything I planed or anything I ever dreamed of doing. Norris J- I was born in Forth Worth Texas grew up there but when I got a little older I moved to Dallas. Amps- What are some of your goals where do you see yourself five years from now? Norris J- In five years I would have built up INJ music just like I have Norris J the artist so I pretty much planning on sitting back being a record executive for INJ music and training and developing other artist. Also having a studio with other artist under the INJ music group. Amps- Are there any projects that you are working on right now? Norris J- Yes, I’m working on a tone of projects I’m working on my own project that I am completing as we speak I’m going into the studio to do my first co-write song with BET Sunday’s best runner up Andrea Helms. 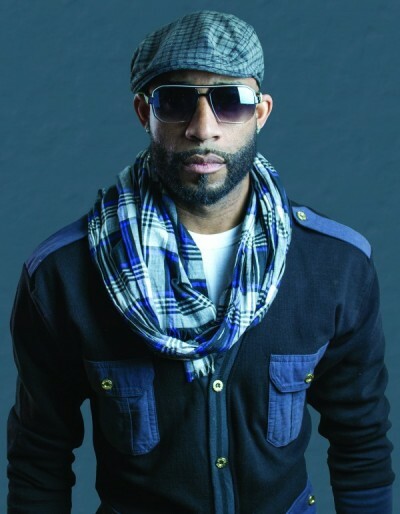 I just finished another single with Kisha Grant Alexis who is former member of Kirk Franklin and the Family. 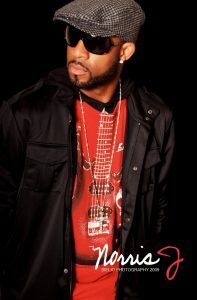 I’ll be in the studio soon to help do a verse on a single released by Terrance Mackey out of Dallas. Amps- If you had the opportunity to go back and change something in your past what would it be? Norris J- I would have stayed in college and got my degree and really gotten myself educated, but if I would have know that I would have taken this path today I would have defiantly went to seminary and become more familiarly with ministry, the bible and that sort. Amps- What advice would you give a young person that looks up to you as a role model? Norris J- Well, when you show people love when you show people support they in turn will do the same for you. When you honor God and you are faithful to God he’ll be faithful to you and as simple as that is it’s the truth. Norris J- They can contact me through email at management@injmusic.com for any other of my social media outlets they can visit my web sight www.norrisj.com www.injmusic.com and all of the links are attached to my web sight. I just would like to take a moment to thank AMPS Magazine for this opportunity even establishing and moving forward in this progressing in my career and allowing me to play my talent before several people and just thanking God for this moment and opportunity.